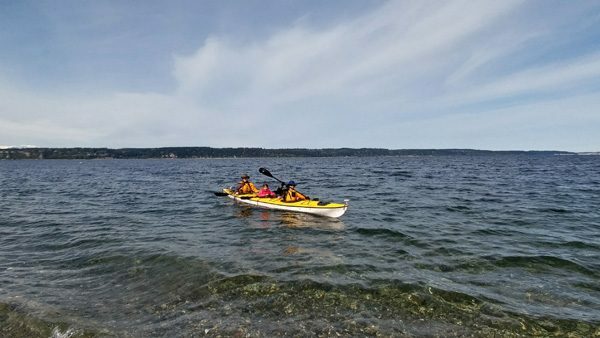 Saratoga Passage is a pleasant, relatively protected expanse of water separating Whidbey Island from Camano Island by about 3 miles. 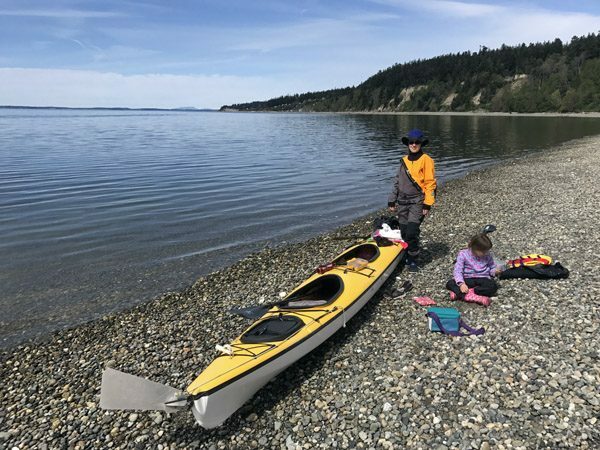 A nice day paddle is to go from Whidbey over to Cama Beach State Park on Camano. And while crossing you may even see a whale or porpoise! Boat traffic is relatively light, and the waves are small on calmer days since it is not as open as Puget Sound. 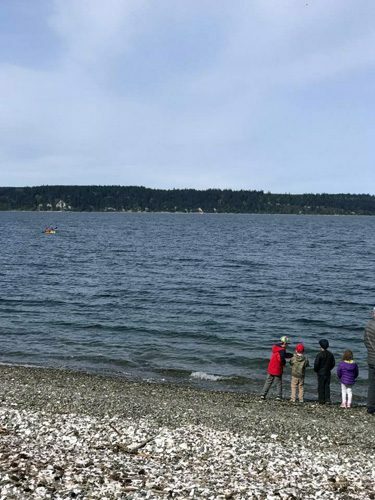 Once at Cama Beach State Park, there are a number of things to explore. The most prominent are the old fishing resort cabins that have been converted to rustic rental cabins right by the shore. Along side them is the Center for Wooden Boats, which is the second location of CWB beyond its Lake Union location in Seattle. There are lots of wooden boats and history to learn about there. Around the park are also trails, a playground, and a cafe. Best of all is the beach with views west to Whidbey Island!